Congratulations to Big Clown and Sid Miller on their success at the 2018 APHA World Show. 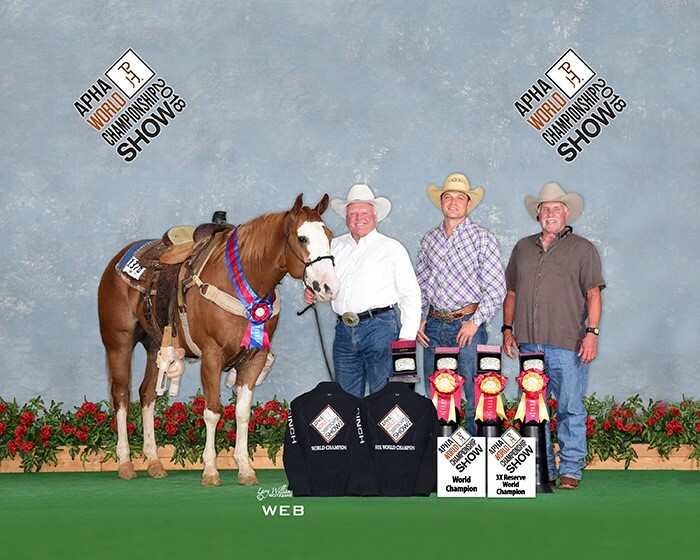 The flashy, double-registered AQHA/APHA 6 year old gelding, came home as the World Champion in Amateur Breakaway. As well as bringing home 3 Reserve Grand Champion titles, in Amateur Calf Roping with Sid Miller, and Amateur Heading and Steer Stopping with Joseph Miller.